Known from two sites. Not threatened due to inaccessibility of habitat. 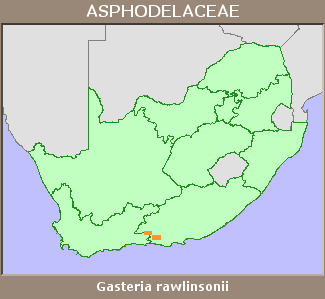 Shady places in sheer, narrow ravines of the Kouga and Baviaanskloof Mountains, in rock crevices. Obermeyer, A.A. 1976. Gasteria rawlinsonii. Flowering Plants of Africa 43(3-4):t. 1701. Van Jaarsveld, E.J. 1992. 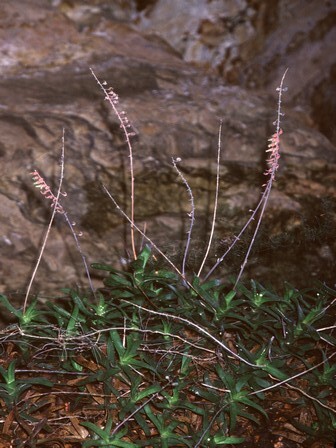 The genus Gasteria, a synoptic review. Aloe 29(1):1-32.